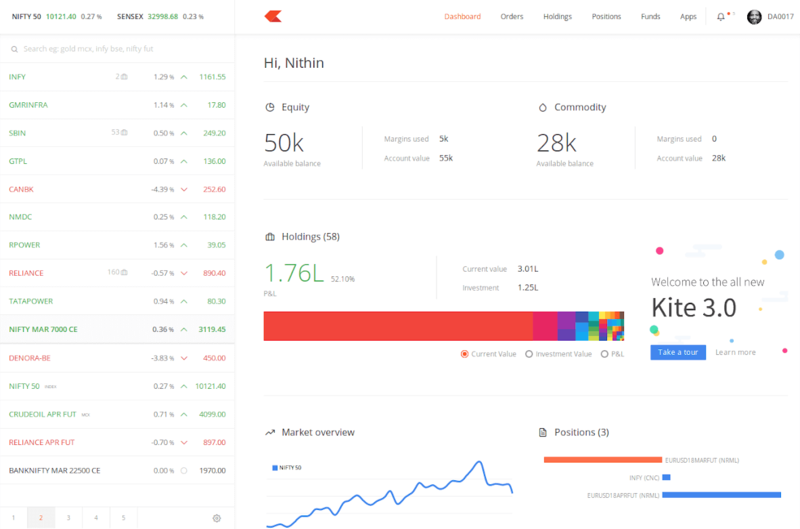 Sleek, modern, intuitive trading tools built from scratch with ease of trading in mind with our technology and innovation-first approach. Absolutely free equity & direct mutual fund investments. Flat ₹20 on all intraday, F&O, currency, and commodity trades across NSE, BSE, MCX. Multilingual support team to answer your queries over phone and e-mail. Country wide network of partners to offer regional support. Answers to all your questions on trading and markets on TradingQnA.com, our community powered question and answer platform. Varsity, the one of its kind open online education portal covering options trading, fundamental analysis, commodities, technical analysis and more. Z-Connect, our official blog where we interact with the community and blog about all things Zerodha and our initiatives. © 2010 - 2019, Zerodha Broking Ltd.
"Prevent unauthorised transactions in your account. Update your mobile numbers/email IDs with your stock brokers. Receive information of your transactions directly from Exchange on your mobile/email at the end of the day. Issued in the interest of investors"
Dear Investor, if you are subscribing to an IPO, there is no need to issue a cheque. Please write the Bank account number and sign the IPO application form to authorize your bank to make payment in case of allotment. In case of non allotment the funds will remain in your bank account. As a business we don't give stock tips, and have not authorized anyone to trade on behalf of others. If you find anyone claiming to be part of Zerodha and offering such services, please create a ticket here.